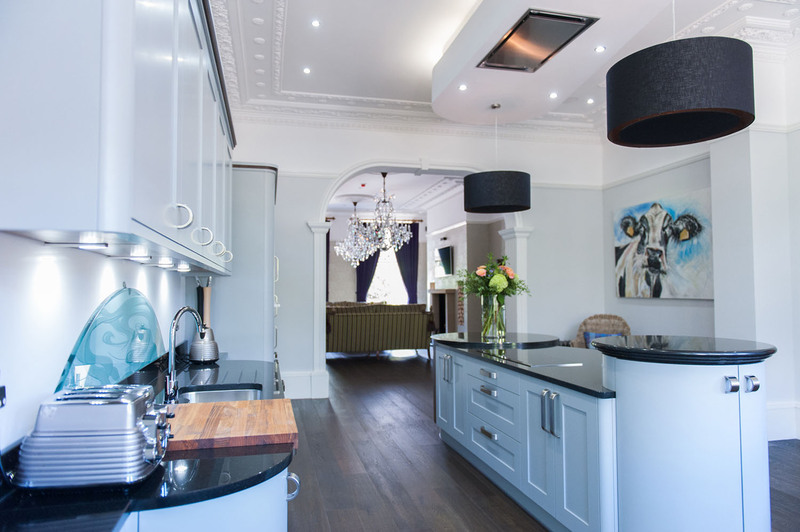 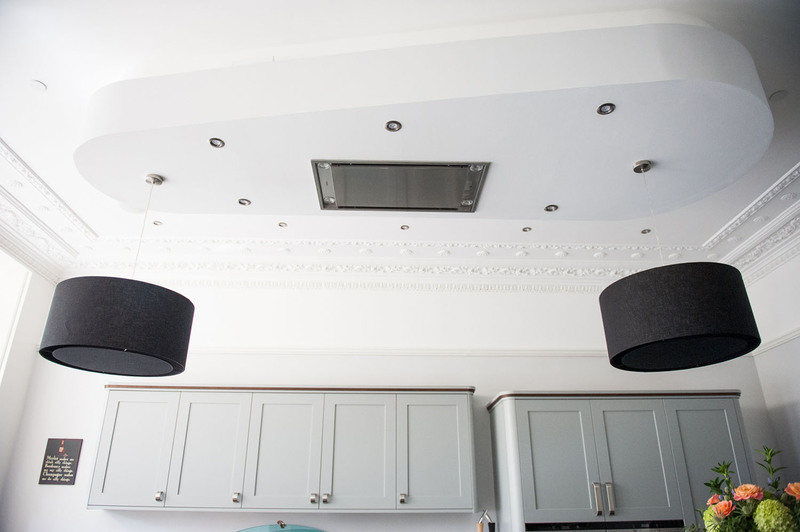 This project was a refurbishment of a Grecian Style Terraced House in the centre of Glasgow. 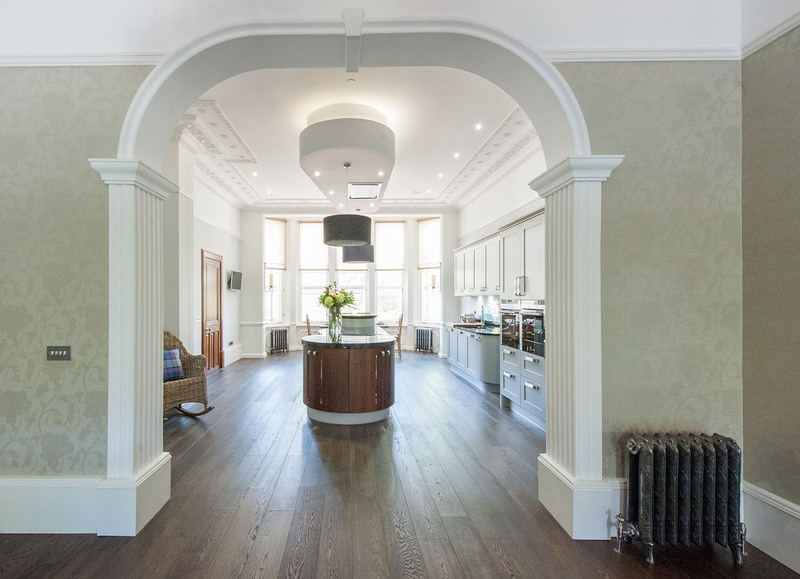 The client was keen to marry the buildings original features with contemporary elements. 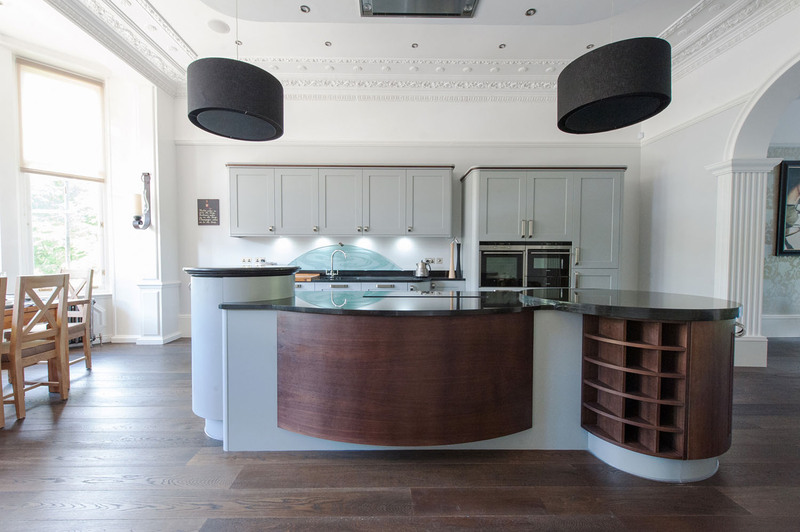 A shaker style door with curved wall units was used to create a classic kitchen style. 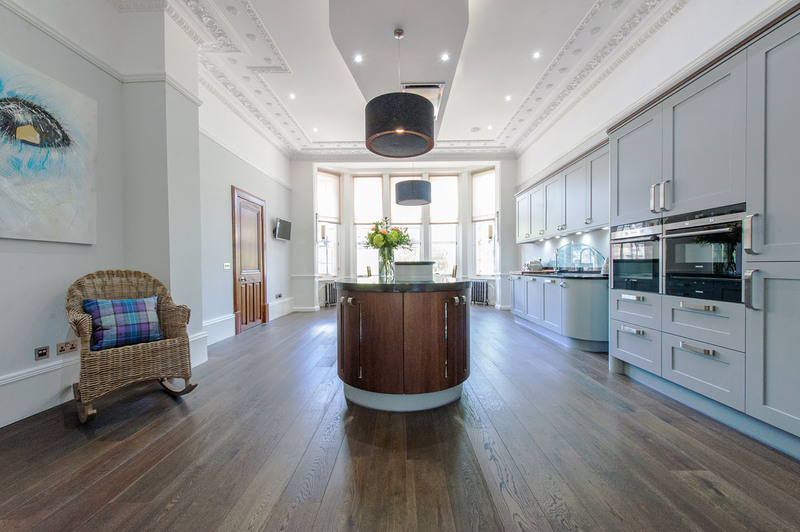 Design to marry the original features of the building with modern style of living. 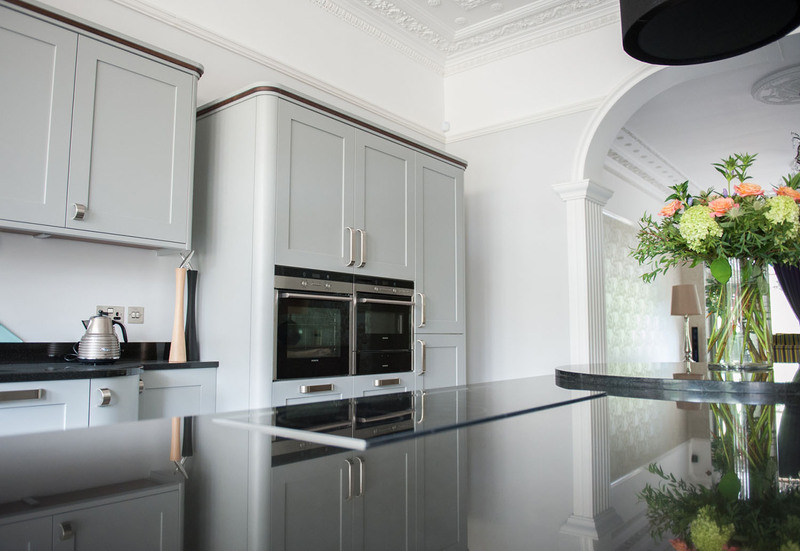 “Restoration of an ‘A listed’ property of this significance, requires careful planning and a critical attention to detail. 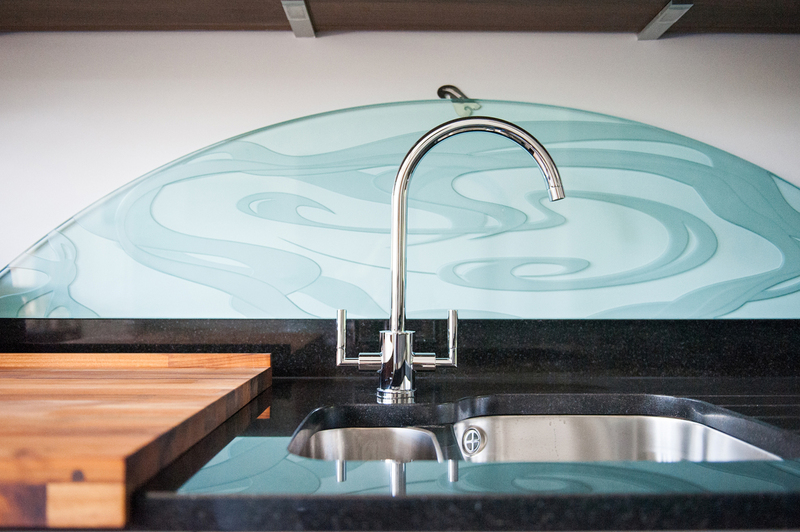 KI provided us with professional input, from the early stages of design, to the final completion of the project”.